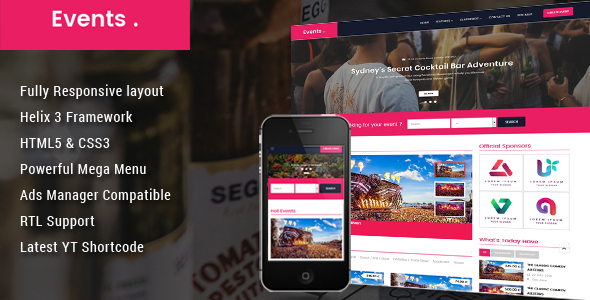 Sj Event Joomla template uses the leading classified ads component for Joomla – AdsManager that is the perfect classifieds script for building classified advertisements website with high customization and flexibility. 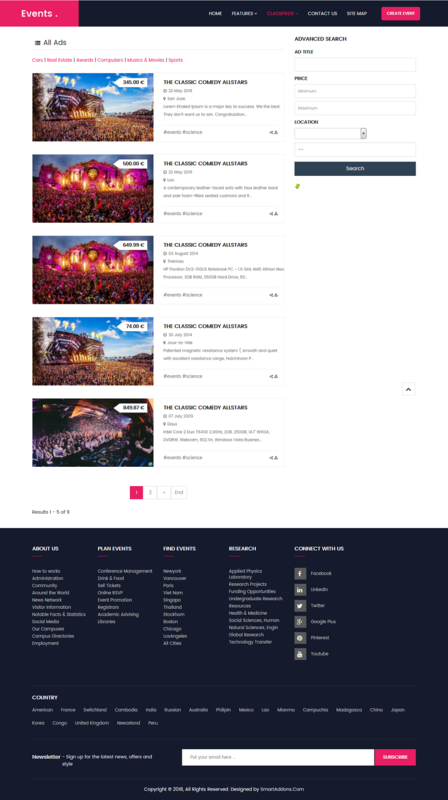 Besides, Sj Event comes with bundle of advanced features: Sp Page Builder (free), responsive design, 65+ useful shortcodes, powerful mega menu, RTL supported, sample data included and many more . You can also customize site as the way you wish, of course.